Ready to sail away from the ordinary? 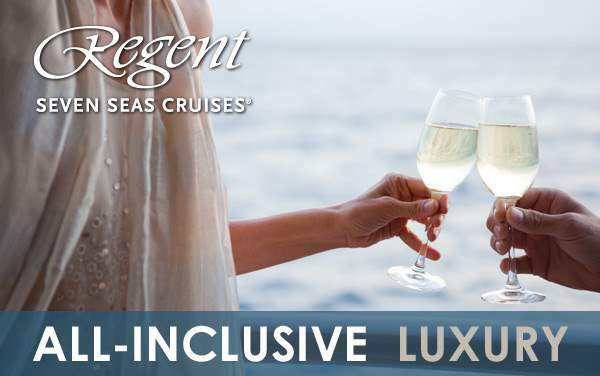 Alaska cruises with Regent Seven Seas Cruises specialize in the extraordinary. 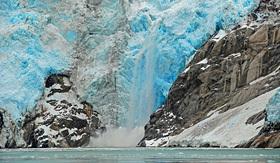 With incredible natural wonders like glacier bays, snow-capped peaks and an ice-filled tundra, your body and mind will be captivated and bewildered. You may encounter some of the most unique wildlife in the world, like the caribou, humpback whales, and huskies, or challenge yourself physically with a climb up and rappel back down the icy mountains. 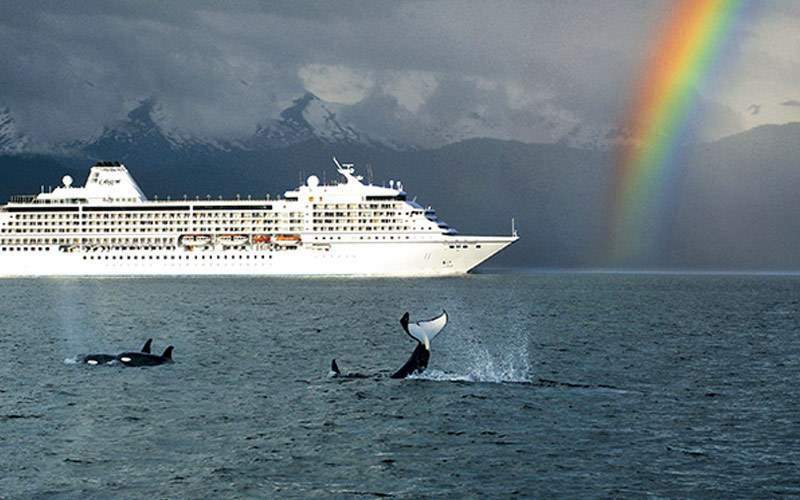 Whether you’re fishing for king salmon or catching a sled ride through the snow, you’ll be amazed at the places you’ll go and the things you’ll see on a Regent Seven Seas Alaska cruise. Explore the great outdoors in Alaska where you can visit an iceberg, spot a bald eagle and try some delicious king crab – all in one day. 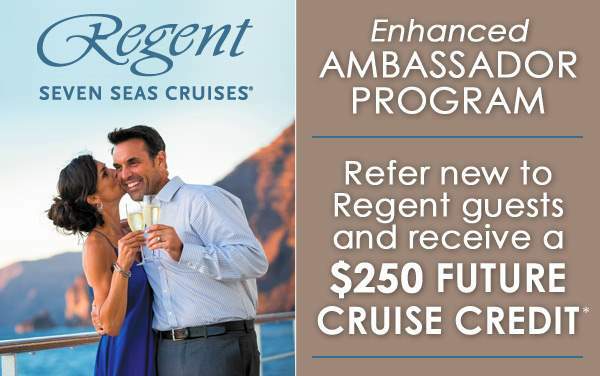 Imagine what you can do with a full week on your Regent Seven Seas Cruises luxury Alaska cruise! 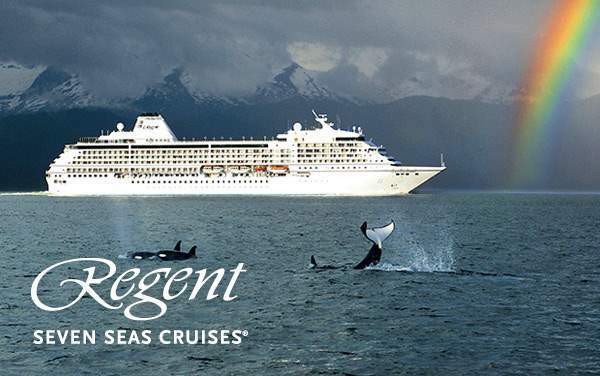 Set aside time to explore the fjords of this great region while cruising Alaska with Regent Seven Seas Cruises. 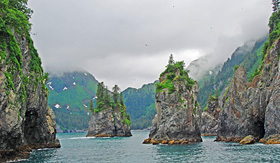 Head to Resurrection Bay for some wildlife viewing, glacier gazing and perhaps a breeching whale. The fjords will astound you visually, and you won’t soon forget this natural beauty of an excursion. 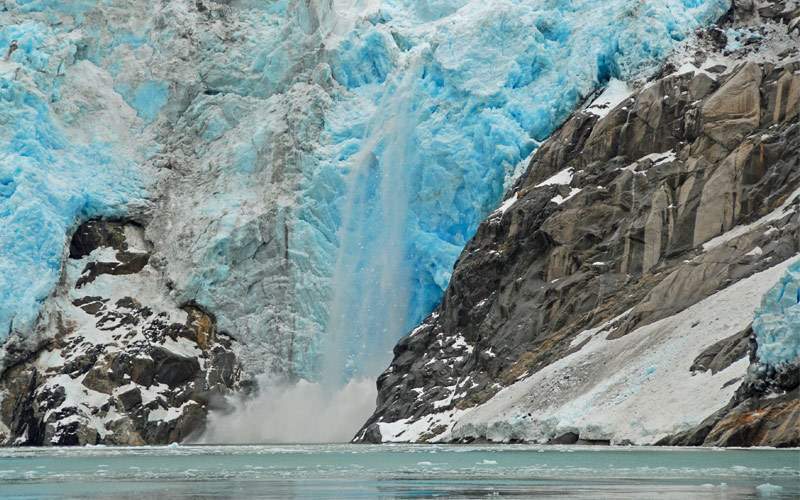 You’ll be absolutely delighted by the Tracy Arm wilderness area and the up close and personal look at the Sawyer Glaciers during this Alaska excursion. 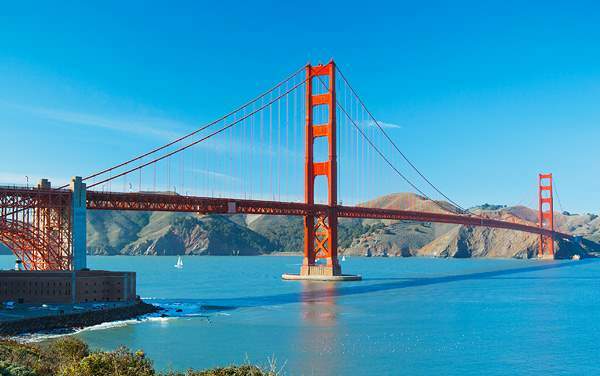 Your catamaran will zip you through the waters past seals, icebergs, bald eagles and even a mountain goat or two. 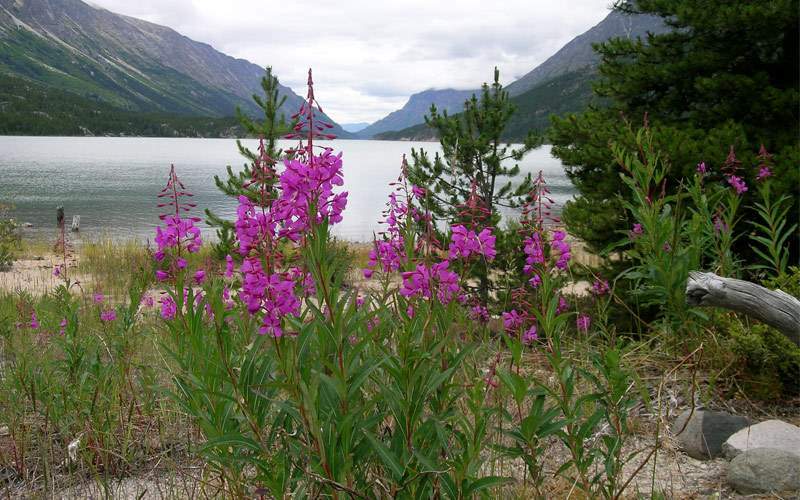 Get a vista of the Alaskan fjords you’ll remember forever. When you combine helicopter views and dog sledding across the frozen tundra, you have a splendid combo excursion that cannot be missed. 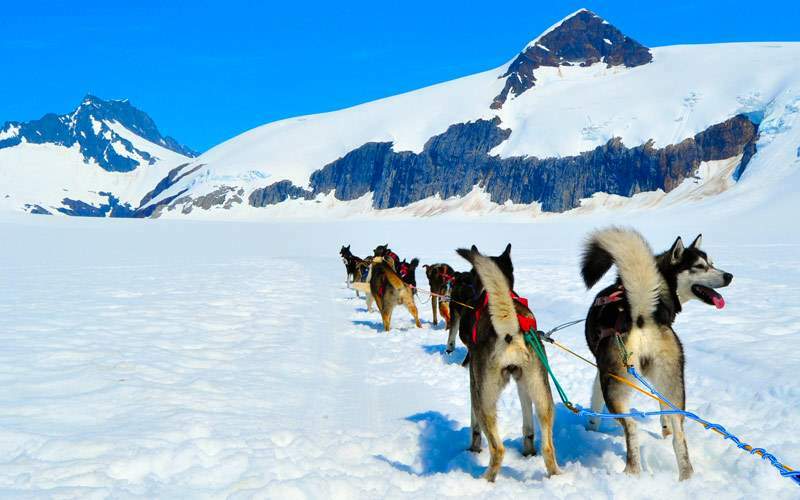 After a copter ride showing you the peaks and glaciers, you’ll touch down in the Mendenhall Glacier dogsled camp. 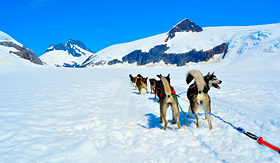 Meet the mushers, hop on the sled and enjoy the ride! 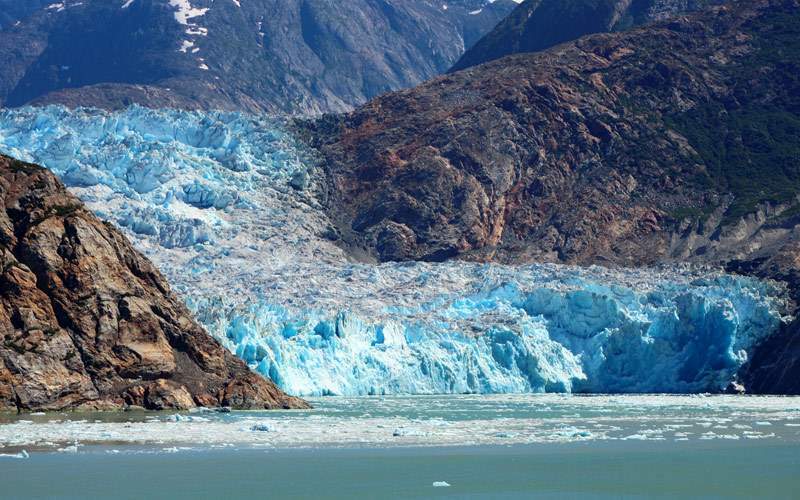 To get a view of both the glaciers and one of the region’s most intriguing creatures, choose this Alaskan excursion. 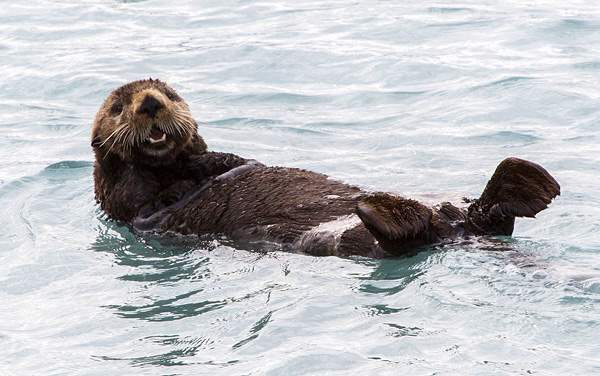 You’ll see the Mendenhall Glacier and enjoy some truly blissful views, and next head for the Auke Lake for some whale watching (among other wildlife). All aboard the floatplane for a ride to the Prince of Wales Island, where you’ll be in for a bear of an excursion. These raw logging areas and streams filled with salmon are the perfect place for black bears to make their home. 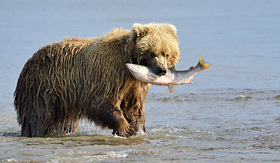 Enjoy an exciting guided bear tour. 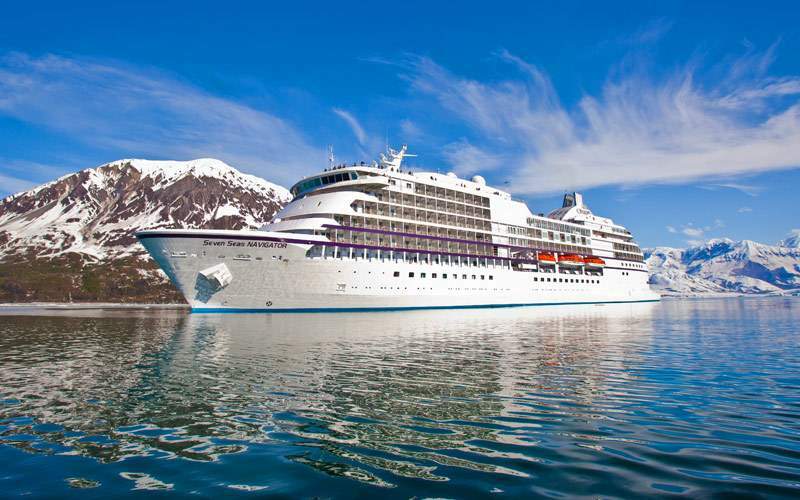 Exploring the vast wilderness of the Last Frontier is a must during a Regent Seven Seas cruise to Alaska, and it’s made even more exciting with this excursion. 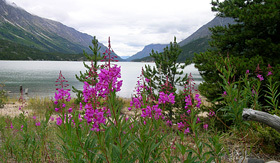 Blaze a trail through the Chilkoot Trail and Talya River, filled with beauty and a rich history from the gold rush. Then you’ll jump aboard a float for a rafting adventure down the river, offering a comprehensive day of natural exploring! 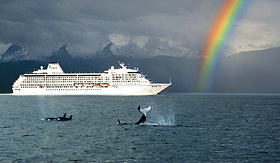 Browse our photo gallery of Alaska cruising photos from Regent Seven Seas Cruises. 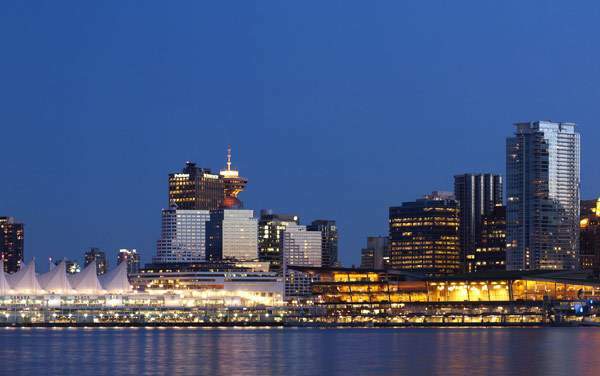 Best of all, this is merely a sample of the sights waiting for you on a luxurious Regent Seven Seas Cruises Alaska cruise vacation.